Ford White Bear Lake was founded in 1956 and it’s authorized to sell Original Factory Ford Parts as well as Ford Racing Parts. With over 60 years of industry experience, you can be confident we will help you find the correct part(s) for your vehicle. Our team is dedicated in providing excellent customer service! 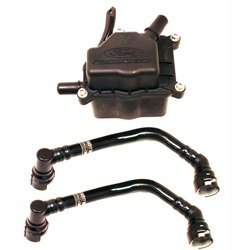 Ford Motor Company designs and produces OEM parts that meet the same specifications and tolerances as the parts on the vehicle when it was manufactured. These parts meet stringent requirements for fit, finish, structural integrity, corrosion protection and dent resistance. They are the only parts proven during vehicle development to deliver the intended level of protection as a whole system.